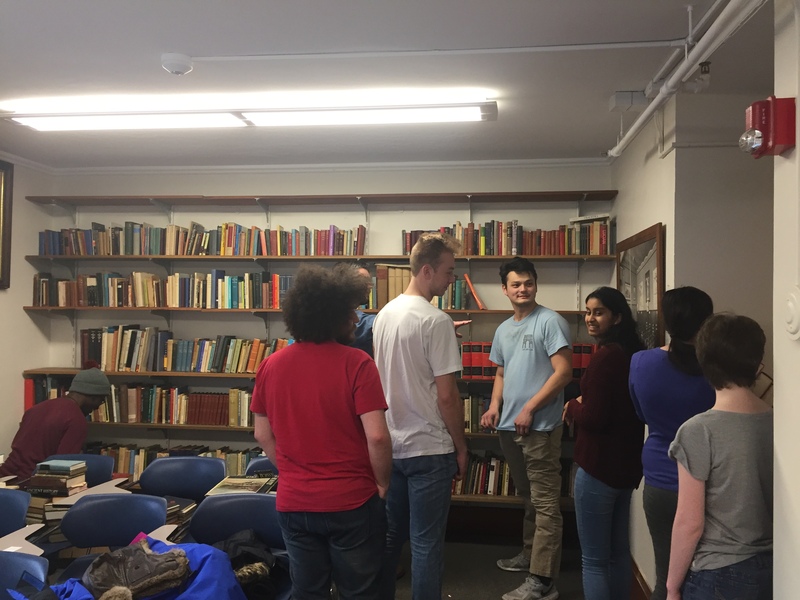 Last Friday, March 1, Classics students and faculty came together to set up and organize new bookcases for the department library! Check it out on the 4th floor of Mather House. Speak to a Classics faculty member if you’re interested in borrowing a book! 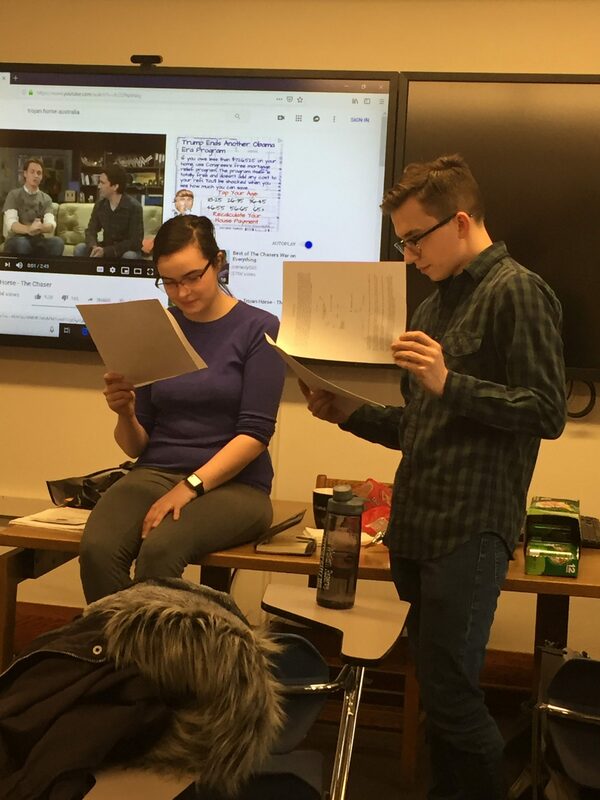 Eta Sigma Phi, the Classics Honor Society, also welcomed new members with an induction ceremony. 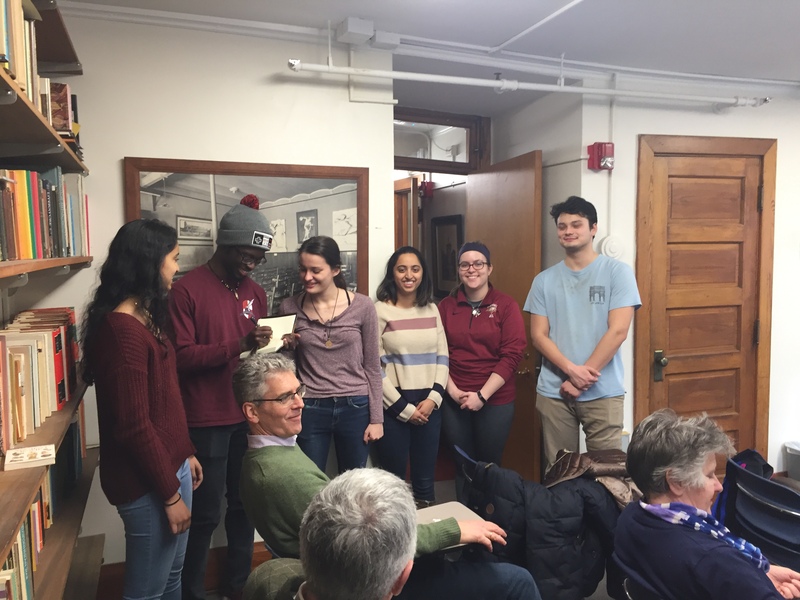 ΗΣΦ officers, Dominica Rollins and Jacob Kordeleski, inducted Joshua Breckenridge, Emma Ries, Saloni Lad, Jillian White, Nana Yorke, Asha Ravichandran, and Nam Vo. After all their hard work, the group celebrated with a pizza party. 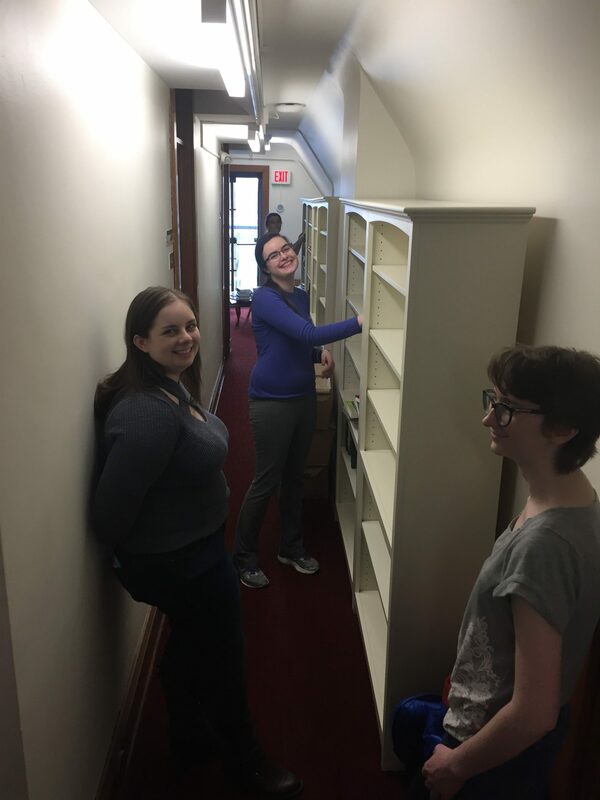 (From L to R) Abbey Wells, Dominica Rollins, Jillian White, and Justine Boyle put Classics books on our new bookcases. Dr. Paul Hay directs the reshelving and organizational operation. 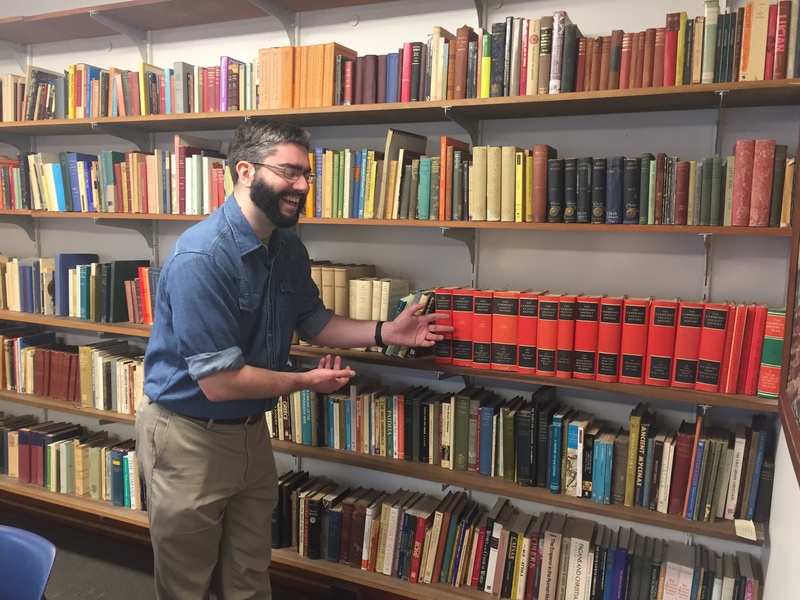 Classics students help organize the department’s books (from L to R: Nana Yorke, Adam Doros, Dr. Paul Hay in the back, Colin Hawkinson, Joshua Breckenridge, Asha Ravichadran, Dominica Rollins, and Justine Boyle). Eta Sigma Phi officers Dominica Rollins and Jacob Kordeleski induct this year’s new members. 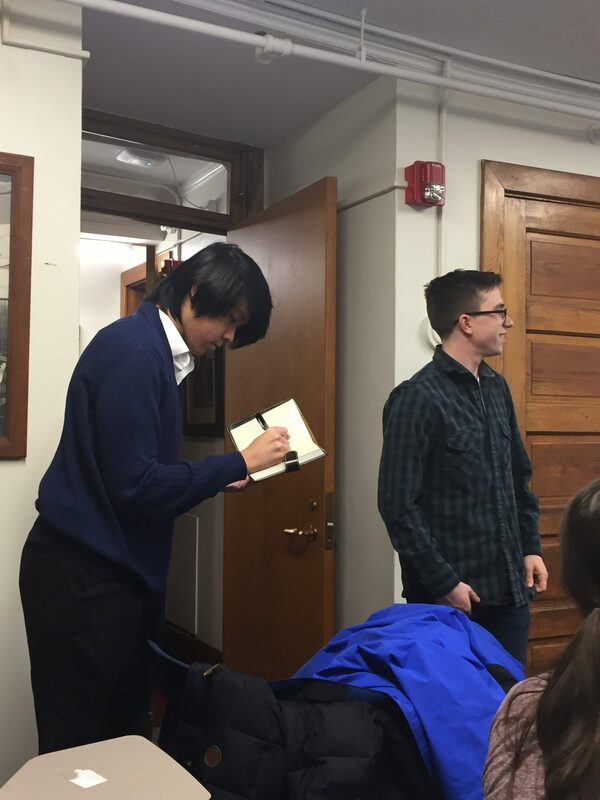 Jacob Kordeleski inducts Nam Vo into Eta Sigma Phi. 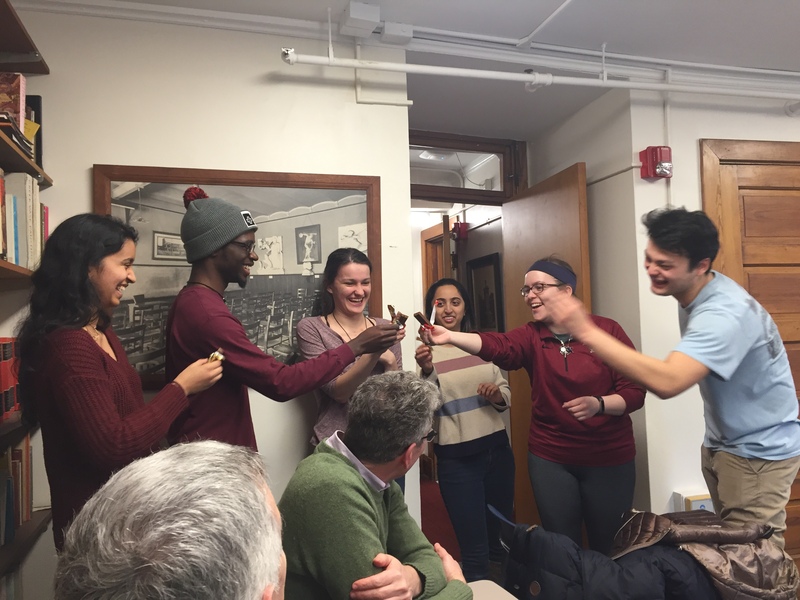 New members of Eta Sigma Phi celebrate with a candy toast (from L to R: Asha Ravichadran, Nana Yorke, Jillian White, Saloni Lad, Emma Ries, and Joshua Breckenridge).